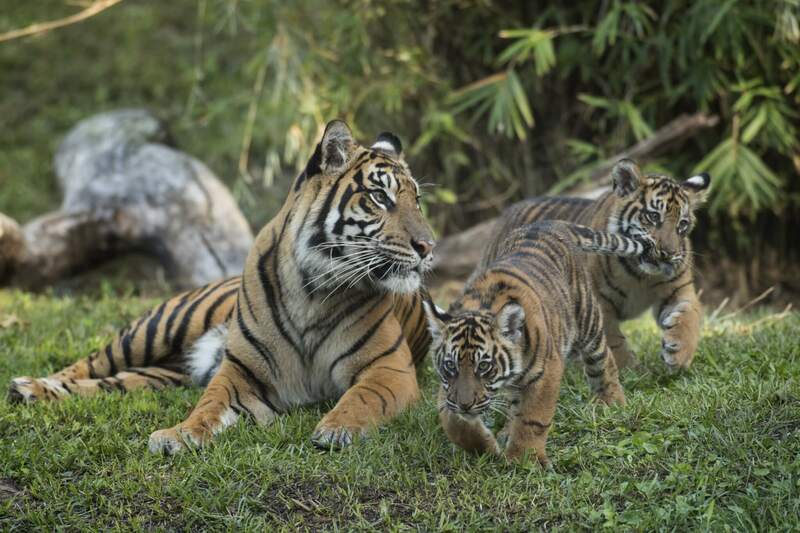 Starting this week, guests at Disney’s Animal Kingdom may get a glimpse of Anala and Jeda, the first Sumatran tiger cubs to be born at the park. The nearly four-month-old cubs are slowly being introduced into their habitat on Maharajah Jungle Trek. The sister and brother pair will be visible periodically as they acclimate to their new area.